Draft: 2014, Houston Astros, CBAth rd. Graduated from Cedar Crest High School in Lebanon, Penn...was ranked as the ninth-best high school prospect by Baseball America in the 2011 draft class after being named the Pennsylvania State Player of the Year in his senior season...hit .484 with 12 home runs and 31 RBI in his senior season...was a three-time all-state honoree...Was selected by Texas in the sixth round of the 2011 MLB Draft but did not sign... Elected to attend the University of Virginia, where he played three seasons with the Cavaliers...was a Freshman All-American in 2012 and a second-team Preseason All-American in 2013...battled injuries in his junior season of 2014...Was selected by Houston in the Competitive Balance Round A as the 37th overall selection in the 2014 MLB Draft...signed by Astros scout Tim Bittner...was the Astros highest draft pick to sign with the club out of its 2014 draft class...The Competitive Balance Round A selection used to draft Fisher was acquired by Houston as part of the return in the 2013 trade that sent RHP Bud Norris to Baltimore...Selected to the Major League roster on on June 14, 2017...is currently signed to a one-year contract that runs through 2019. Played in 42 games with Houston across two stints with the club...made 24 starts (17 in left field, five in center field, two in right field)...made the Astros Opening Day roster for the first time in his career...placed on the 10-day DL on May 19 with gastrointestinal discomfort...activated from the DL and optioned to Triple A on June 2...recalled on Aug. 6...optioned to Triple A on Aug. 15...tripled in consecutive games from April 1-2... joined Justin Maxwell (2013) as the only players in franchise history to record two triples within the Astros first five games of a season...pinch-ran in the 10th inning on April 7 vs. SD and scored the game-winning run on Alex Bregman's walkoff single...hit a 425-foot home run off Shohei Ohtani on April 24 vs. LAA...tied the game on May 5 at ARI with an RBI double in the 8th inning...hit a go-ahead homer in the 7th inning on May 9 at OAK, going back-to-back with Max Stassi...marked his second-straight game with a home run, the first time in his career that he homered in consecutive games...in 67 games at Triple A, batted .251 (60x239) with 12 doubles, one triple, 10 homers, 34 RBI, 11 stolen bases and a .798 OPS (.363 OBP/.435 SLG). 24-year-old outfielder was one of the best players at the Triple A level this season before playing in his first 47 Major League games across two stints with Houston...made 39 starts in the outfield (30 in left field, 7 in right field, 2 in center field)...per Statcast, was one of the fastest runners in the Majors this season and the fastest on the Astros...his sprint speed of 29.1 feet per second led the club and ranked 17th among all Major League players (9th in the American League)...was a non-roster invitee at Spring Training and spent all of the Spring with the Major League club (.310, 13x42, .958 OPS, 11 steals in 28 games)...began the regular season at Triple A Fresno...was selected to the Major League roster on June 14...optioned to Triple A on June 19...recalled from Triple A on July 25 and stayed in the Majors through the remainder of the season...made his MLB debut in a start in LF on June 14 vs. TEX...went 2x3 with a home run, two walks and two RBI...homered in his third plate appearance, becoming the first Astro to homer in his MLB debut since Teoscar Hernandez in 2016...recorded his first two career Major League hits in the same inning (6th), knocking a solo homer and an RBI single...became the first Major League player to record the first two hits of his career in the same inning since Adam Laroche did so for the Braves on April 7, 2004 vs. NYM (single and double in the 4th inning) (Elias)...became the second Astros player with multiple hits and multiple RBI in his MLB debut, joining John Paciorek (3x3, 3RBI on Sept. 29, 1963 vs. NYM)...prior to Fisher, the last MLB player to record multiple hits, multiple RBI, multiple walks and multiple runs in his MLB debut was Jay Bruce on May 27, 2008 vs. PIT...became the fifth player in club history to hit two homers over his first five games in the Majors, joining Tyler White (3 in 2016), Carlos Correa (2015), Glenn Davis (1984) and Ken Caminiti (1987)...became the ninth player in club history to reach base safely in each of his first six career games in the Majors...recorded multi-hit games in back-to-back contests for the first time in his career from Sept. 16-17...was a Triple A Pacific Coast League Midseason and Postseason All-Star and started the 2017 SiriusXM All-Star Futures Game in left field...played in 84 games with Triple A Fresno, batting .318 (109x343) with 26 doubles, one triple, 21 homers, 66 RBI, 16 steals and a .967 OPS (.384 OBP/.583 SLG)...was named the Pacific Coast League Player of the Week on June 4....homered in four straight games from May 27-June 1...hit .435 (10x23) with three homers and nine RBI in six games to earn the weekly award...named the Astros May Minor League Player of the Month...prior to his MLB debut, was leading the PCL in total bases while ranking tied for third in homers, third in slugging and eighth in batting average...appeared in five postseason games: two in the ALDS, one in the ALCS and one in the World Series...entered as a pinch runner in four of the five games, and was a pinch hitter in one game (walked)... scored the game-winning run in Game 5 of the World Series...scored from second on Bregman's walkoff single after entering as a pinch runner. Spent the season between Double A Corpus Christi (102g) and Triple A Fresno (27g)...was his first career appearance at the Triple A level...combined to hit .255 (122x478) with 21 doubles, four triples, 21 homers, 76 RBI, 28 stolen bases and an .815 OPS (.367 OBP/.448 SLG)...was one of three minor leaguers to record at least 20 homers and 20 stolen bases (also Jason Martin-HOU and Dylan Cozens-PHI)...made his first appearance in Major League Spring Training, as a non-roster invitee...appeared in 10 games with the Astros, totaling three hits (single, triple, homer) in 11 at-bats...opened his season with Double A Corpus Christi, where he was named a Midseason All-Star after hitting .271 (69x255) with 11 doubles, 13 homers, 47 RBI and 18 stolen bases in 70 games in the first half of 2016...played in 32 more games with the Hooks after the All-Star Break, before being promoted to Triple A Fresno for the first time in his career on Aug. 7...was solid through the end of the season with the Grizzlies, batting .290 (17x107) with eight doubles and five homers in 27 games. Split his season between Advanced Class A Lancaster (84g) and Class A Quad Cities (39g) combining to hit .275 (136x495) with 21 doubles, 22 home runs, 87 RBI and 31 stolen bases...after getting three at-bats (0x3) as a minor league callup at Major League Spring Training, began his regular season with Quad Cities...played primarily center field and hit .305 (46x151) with 11 doubles and 24 RBI in 39 games before a promotion to Lancaster on May 29... split his time between center and left field and put together solid all-around numbers at the plate in his final 84 games as a JetHawk, posting 10 doubles, seven triples, 16 home runs, 63 RBI and 23 stolen bases...for his second straight season, appeared in the postseason, hitting .250 (3x12) in three games...following the regular season, played for Glendale in the Arizona Fall League, hitting .254 (15x59) with an .821 OPS (.397 OBP/.424 SLG) in 17 games...was named to the AFL Rising Stars Game. Signed his first professional contract on July 1 and reported to the Rookie level GCL Astros the following day...played in one game in the GCL going 2x3 with a double and a walk...promoted to Class A Short Season Tri-City on July 6 and finished his season hitting .303 (46x152) with 18 RBI and 17 steals in 41 games for the ValleyCats...named a New York-Penn League Midseason All-Star...played primarily left field on the season...played in five games for Tri-City in the playoffs, hitting .375 (6x16) with a double, a home run and three RBI. March 19, 2019 Houston Astros optioned CF Derek Fisher to Round Rock Express. October 1, 2018 Houston Astros recalled CF Derek Fisher from Round Rock Express. August 16, 2018 Houston Astros optioned Derek Fisher to Fresno Grizzlies. August 6, 2018 Houston Astros recalled Derek Fisher from Fresno Grizzlies. June 3, 2018 Houston Astros optioned LF Derek Fisher to Fresno Grizzlies. May 28, 2018 Houston Astros sent OF Derek Fisher on a rehab assignment to Fresno Grizzlies. May 20, 2018 Derek Fisher roster status changed by Houston Astros. July 25, 2017 Houston Astros recalled LF Derek Fisher from Fresno Grizzlies. June 20, 2017 Houston Astros optioned RF Derek Fisher to Fresno Grizzlies. June 14, 2017 Houston Astros selected the contract of Derek Fisher from Fresno Grizzlies. January 13, 2017 Houston Astros invited non-roster OF Derek Fisher to spring training. August 7, 2016 RF Derek Fisher assigned to Fresno Grizzlies from Corpus Christi Hooks. April 5, 2016 LF Derek Fisher assigned to Corpus Christi Hooks from Lancaster JetHawks. January 1, 2016 Houston Astros invited non-roster LF Derek Fisher to spring training. May 29, 2015 LF Derek Fisher assigned to Lancaster JetHawks from Quad Cities River Bandits. April 30, 2015 Quad Cities River Bandits activated LF Derek Fisher from the 7-day disabled list. April 23, 2015 Quad Cities River Bandits placed LF Derek Fisher on the 7-day disabled list. 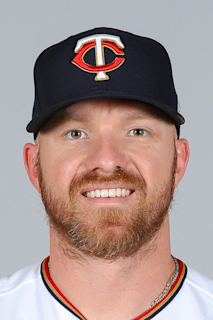 April 1, 2015 LF Derek Fisher assigned to Quad Cities River Bandits from Tri-City ValleyCats. March 8, 2015 OF Derek Fisher assigned to Houston Astros. July 6, 2014 LF Derek Fisher assigned to Tri-City ValleyCats from GCL Astros. July 2, 2014 OF Derek Fisher assigned to GCL Astros. July 1, 2014 Houston Astros signed OF Derek Fisher.